SAN JOSE, Calif., May 30, 2012 – Cisco announced today that Frontier Communications Corporation (NASDAQ: FTR), the largest provider of communications services focused on rural America, has deployed the Cisco Aggregation Services Router 9000 Series (ASR 9000) as part of Frontier's next-generation network to deliver enhanced high-speed mobile backhaul services to wireless carriers in up to 20 markets in the United States. The Cisco ASR 9000 will provide cell-site backhaul services and better enable mobile operators to support data-intensive services required by consumers and businesses. 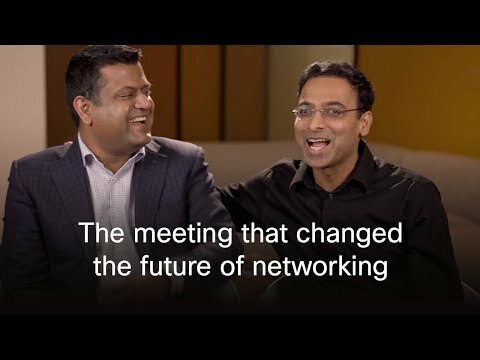 Cisco's technology, services and experience in helping network operators scale services to meet the demands of mobile customers were significant reasons Frontier chose it for this deployment. According to the Cisco® Visual Networking Index (VNI) Global Mobile Data Traffic Forecast for 2011 to 2016, global mobile Internet data traffic will increase 18-fold over the next five years. The Cisco ASR 9000 will help Frontier address that growth through a converged infrastructure that optimizes service delivery with flexibility, robust IPv6 support, and Carrier Ethernet capabilities. The platform's use of Cisco IOS XR modular software operating system will simplify the company's network operations and enable seamless system redundancy and network resiliency. The Cisco ASR 9000 Series is specifically designed to give network operators flexibility to offer new services by providing a strong foundation for 4G mobile Internet, business-class Ethernet, and residential video and broadband services and applications. Mobile backhaul is among Frontier's fastest-growing services; the company will roll out the Cisco ASR 9000 in up to 20 markets across country and plans to expand into new markets. In addition to 4G mobile backhaul, the new Carrier Ethernet network will provide additional broadband capacity, allowing Frontier to deliver faster broadband speeds in new markets. "The ASR 9000 will help our network deliver the capacity needed for projected bandwidth growth and scalable, reliable bandwidth options for Metro Ethernet and cell site backhaul services." Sri Hosakote, vice president and general manager of Cisco's edge routing business unit. "We are very pleased that Frontier Communications has selected the ASR 9000 to serve as the foundation for its next-generation network, which will be capable of ushering in an entirely new wave of exciting services and applications. In addition to 4G mobile backhaul, Frontier's new Carrier Ethernet network will enable faster broadband speeds and fully supports IPv6 services." Frontier Communications Corporation (NASDAQ: FTR), is an S&P 500 company and is included in the FORTUNE 500 list of America's largest corporations. Frontier offers broadband, voice, satellite video, wireless Internet data access, data security solutions, bundled offerings and specialized bundles for residential customers, small businesses and home offices and advanced business communications for medium and large businesses in 27 states. Frontier's approximately 15,500 employees are based entirely in the United States. More information is available at www.frontier.com. Cisco, (NASDAQ: CSCO), the worldwide leader in networking that transforms how people connect, communicate and collaborate. Information about Cisco can be found at http://www.cisco.com. For ongoing news, please go to http://newsroom.cisco.com.